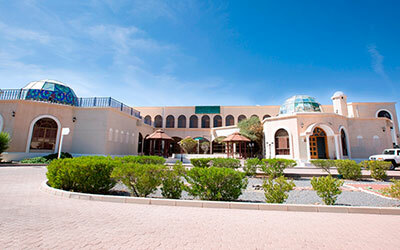 Located 2,134 M above sea level, Jabal Al Akhdhar Hotel is situated in Nizwa. It offers a restaurant with a 24 hours room service. All accommodations at Jabal Al Akhdhar are equipped with modern furniture. Each one offers a small seating area with flat screen tv, a minibar and telephone. The suites include a separate living room. Ironing and laundry services are offered at an added fee. Muscat international airport is 152 km away from Jabal Al Akhdhar. Free private parking is possible on site.